The secular liberal media is finally lifting their blackout of coverage of the Kermit Gosnell House of Horrors abortion clinic in Philadelphia. The video below is shocking but the story needs to be widely known. The squalid conditions, violation of health standards, under-qualified or unqualified staff, have been a continual refrain about abortion clinics in various jurisdictions. I suspect this is just the tip of a cold and dirty iceberg of the abortion industry.Why would we expect any different? If life is not respected why would health regulations be respected? 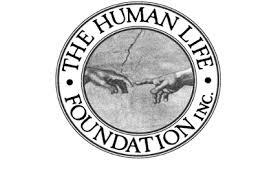 Abortion did not liberate society: it has murdered our nations' children in a holocaust of unprecidented proportions and has hardened or broken millions of human hearts. It has scarred and killed our women. That's what 40 years of abortion did. Never mistake barbarity with enlightenment. 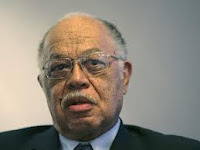 Let us use the grisly case of Kermit Gosnell to mark the beginning of the end a dark chapter in North America's 40 year history of abortion. Let us use this terrible case to change our national mindset toward a new embrace of the value and dignity of all human life. That's real enlightenment. Yes, Dr. Kermit Gosnell was a baby killer, but he is not so unique. All abortionists are baby killers. Make abortion something of the past and enter the sunlit uplands of inclusion and love.